My chosen theme is Gingham. I stamped the image using Alice stamp from the Octopode Factory. 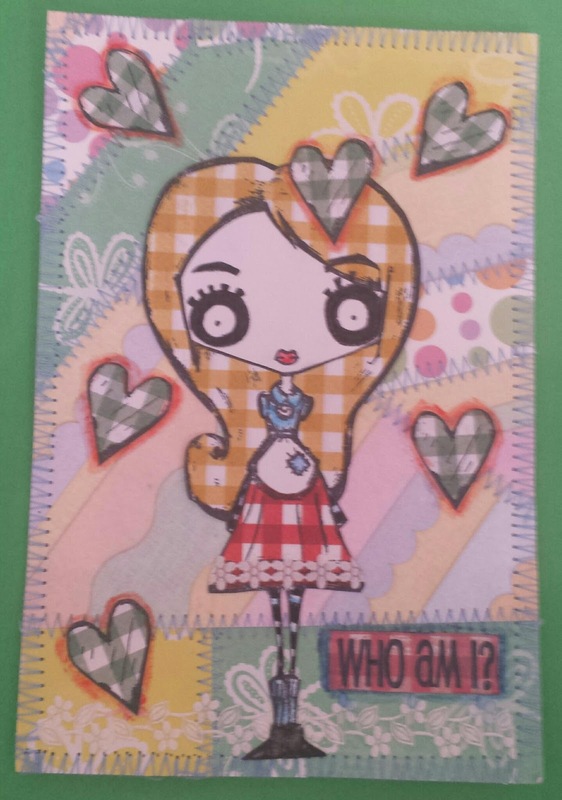 I spamped her haie and dress out of gingham patterened paper and cut them out and added them to Alice. The background is various patterned papers sewn together.